First of all, I need to apologise for not posting at all on here over the past three months. I can't quite believe it's been so long! I think as blogging has grown, the pressure to post has risen but so has the ability to be present online in so many different ways: Instagram, Twitter, Snapchat and Pinterest being just a few of the different platforms bloggers can communicate with their audience on, without actually blogging. This is just one of the reasons I've gone AWOL on Away with the Fairies - the ease of uploading a quick update to InstaStories has definitely appealed more than sitting down and typing up a hearty blog post over the past few months. Another reason for my disappearance is because I'd kind of fallen out of love with my blog. Whilst I love to write, over the past year or so I'd struggled to find the motivation to write my thoughts down in this space and my main reason was because I fell out of love with being 'Away with the Fairies'. Whilst I will always love fairytales, unicorns and all things magical, I felt like I'd outgrown the name and after much debating I decided a re-brand was in order. 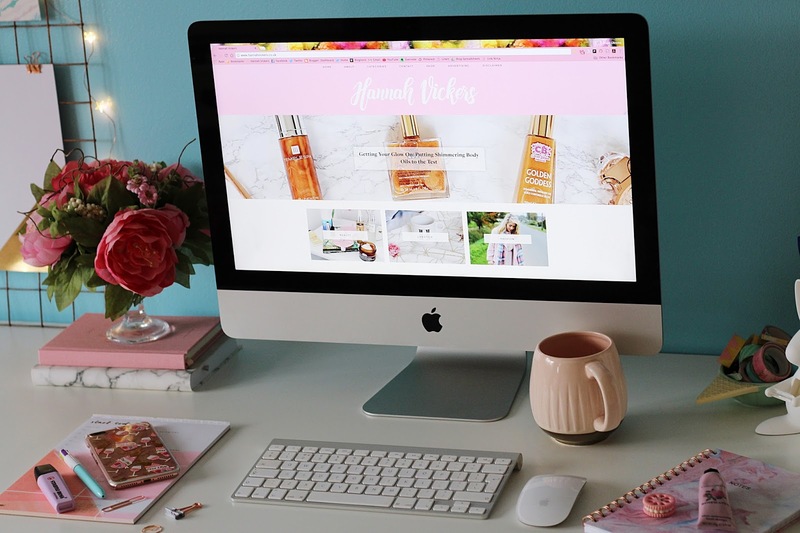 It's something I've been thinking about for years if I'm honest, so I finally bit the bullet and here we are... welcome to HannahVickers.co.uk! Whilst the name and layout has changed, the content will still remain the same - a mix of beauty, lifestyle and fashion posts, with travel thrown in when I can. I felt like my blog was long overdue a layout overhaul (I think this is possibly my fourth layout in seven years - eep!) and I love how it's turned out. I still kept the 'traditional' blog layout with a few little tweaks, and I wanted to inject my signature pink on here as it's my favourite colour and kind of epitomises what I'm all about. I've also added some categories on here so that if you're all about beauty, you can head over and look at my beauty posts, and it's the same for fashion, lifestyle etc. Hopefully this means it'll be easier for you guys to find what you want around here! So, here's to a new beginning for my blog - I'm so excited for what's to come!